Click on the link below to listen + buy the "Do You Wanna Dance LP" today! 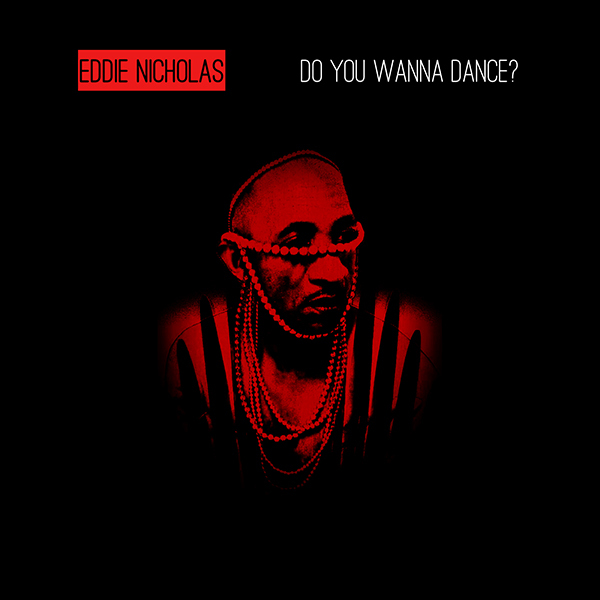 Mixtape Sessions and Dekmusique Imprint is proud to present the release of the 16 track digital debut LP from Eddie Nicholas, entitled "Do U Want to Dance?" This magnificent LP is a collection of original and previously unreleased and remixed material from both internationally and locally recognized producers, combining Eddie's vocal talent with elements of Gospel, Jazz, Rock and soul. The "Do You Wanna Dance?" LP includes a little something for everyone to DANCE to. Spiritual grounding, family, Carol Tart, Adam Cruz, Glenn Thornton, Rasmir Mantree, Dawn Tallman, Tanja Dixon, Kim Beachum, Anetra Tilley, Carolyn Byrd, Humble family, DJ Hutch, Paul Scott, Ace Mungen, Phillip Ramirez, Karla Brown, Victor Dillard, DC Underground, 95 North, Mijan Owens, Taka Boon, Rob Da Noize Temple, Chris Flowers, ThinkSoul, Sunday Tea Party, Koffee The Floetress, Anthony Smith, Theresa Randolph, Susu Stewart and the Lincoln Park family, Tanya Veltz and the Orange Music Festival, Rudy Turner, Otis and the Trenton House Music Festival, Charles Mitchell and the Weequahic Park House Music Festival, Justin Imperiale, John Crockett, Willy Lubisi, Fale Hood Natives, Clown Dallas, Dario Martino, Callogero Scalia, 3 Kings, Lawrence Kenibrew, Sakaki Nakamura, Jacquelyn Graham, Flora Cruz, Deidre Covington, Anthony Wiggins, Lou Alvarez and the Sol Deep family, BKS1 Radio, Frankie Vibe and WFDU (The House of Inspiration,) Barbara Tucker, Sammy Rock and the Cyberjamz family, The Neighborhood Childcare Center, Harley and Muscle, Josh Milan, Venus Ka, DJ Del, Ron Carroll, Charles McDougald and the Warehouse family, Andre McPherson, Eugene Williams, Jean Sermons, Clay Hollaman, Tony Humphries, Slaag Records, Mantree Records, Mixtape Sessions, Cabana Recordings, Acebeat Music, Strictly Rhythm Records, Dek Musique Imprints, Shani Stephens, Crystal Dinero, Shaheed Shaheed, Rodney Gilbert, John Murray and The CC family, Lee Simmons, Fred Pierce, Ken Terry, Joe Flame, Joe Smith, Abbie Adams, Gladys Pizzaro, Duce Martinez, Richard Thomas (RIP,) Stuart Pearman, Randy Hutchinson (RIP,) Nate Dance, Yorel, Mark Mendoza, CeCe Peniston, Marcia Carr, Deli G, T.O. Sweet, Kevin Hedge and Louie Vega of Roots NYC, WBLS, Eric Livesly, Hassan Love, James Germany, Moncef Belyamani, Tee Mallory, DJ Gabe, DJ Melodious, Lou Gorbea, Danny Krivit, Ali Coleman, Michael Fossati (Spirit of House,) NJPAC, The Italian Music Conference, ADE, WMC. . . and to all of my supporters out there in the dark (in my Nora Desmond voice) thank you! And to all of my Mr. Demille’s out there. . . I’m ready for my close up! Written by Bobby Freeman. Vocals performed by Eddie Nicholas. Lead vocals performed by Eddie Nicholas. Background vocals performed by Eddie Nicholas and Adam Cruz. Mixed at Ebbnflow Studios, Bloomfield, NJ. Published by D E K MUSIQUE (ASCAP). Written by Eddie Nicholas and Adam Cruz. Vocals mixed at Ebbnflow Studios, Bloomfield, NJ. Published by Cabana Global Music (BMI), D E K MUSIQUE (ASCAP) and Mixtape Sessions Music (ASCAP). Mixed by Willy Lubisi, Johannesburg, South Africa. Published by D E K MUSIQUE (ASCAP) and Mixtape Sessions Music (ASCAP). Written by Eddie Nicholas and Rob 'Da Noize' Temple. Produced by Glenn Thornton and Rasmir Mantree. Background vocals performed by Eddie Nicholas and Tanja Dixon. Published by D E K MUSIQUE (ASCAP) and Fabu's Dream (ASCAP). Written by Jerry Butler, Linda Iris Conlon and John L. Usry, Jr.
All music performed by Jalal Johnson. All vocals performed by Eddie Nicholas. Published by Jerry Butler (ASCAP), Linda Iris (SOCAN), John Usry (SOCAN) and Warner-Tamerlane Publishing Corp. (BMI). Written by Eddie Nicholas and Glenn Thornton. Background vocals performed by Eddie Nicholas and Dawn Tallman. Remixes produced by Sterling Void and FatFly. Published by D E K MUSIQUE (ASCAP) and SLAAG COMPOSE (SESAC). Written by Harry Dennis and Marshall Jefferson. Originally produced by Adam Cruz. Trumpet solo by Moncef Belyamani. Conga solo by John Mendoza. Remix produced by John Crockett. Published by Sanlar Music (BMI) and Mixtape Sessions Music (ASCAP). Lyrics written by Adam Cruz and Eddie Nicholas. Vocals produced by Eddie Nicholas and Adam Cruz in Bloomfield, NJ. Remix produced by Jeremias Santiago for FTL Music. Published by Mixtape Sessions Music (ASCAP), D E K MUSIQUE (ASCAP) and Dario Martino (SUISA). Originally produced by Glenn Thornton at SLAAG Dungeon, Burlington, NJ. Remix produced by Ayanda Clown Dallas, South Africa. Background vocals performed by Dawn Tallman and Eddie Nicholas. Produced by Ace Mungen for Acebeat Music. Remix produced by 3 Kings, South Africa. Produced by Lawrence Kenibrew and Sakaki Nakamura. Produced by Harley & Muscle, Milan, Italy. Produced by Fale Hood Natives, South Africa. Executive Produced by Eddie Nicholas and Adam Cruz. ©2017 Mixtape Sessions Music, LLC / Dekmusique Imprint. All Rights Reserved.